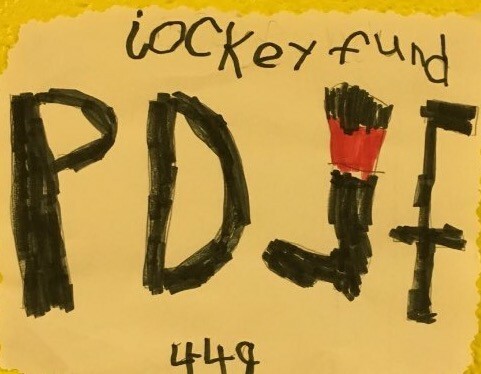 The Permanently Disabled Jockeys Fund (PDJF) is a 501(c)(3) public charity that provides financial assistance to 60 former jockeys who have suffered catastrophic on-track injuries. Since its founding in 2006, the fund has disbursed nearly $9 million dollars to permanently disabled jockeys, most of whom have sustained paralysis or brain injuries. 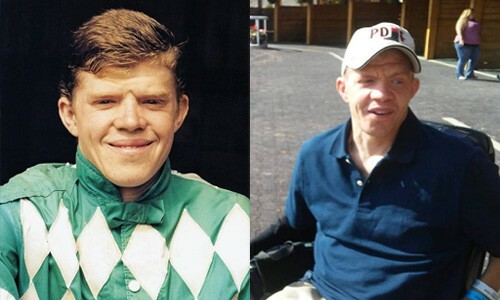 Many of the jockeys we serve were injured while in their 20s and 30s and face decades of living with a disability. They have lost their income and the opportunity to build a financial cushion sufficient to support them and their families. The medical needs of our disabled jockeys are great and may include daily assistance from a caregiver. In today’s health care environment, costs continue to escalate — posing still more challenges to individuals who courageously test their limits every day. 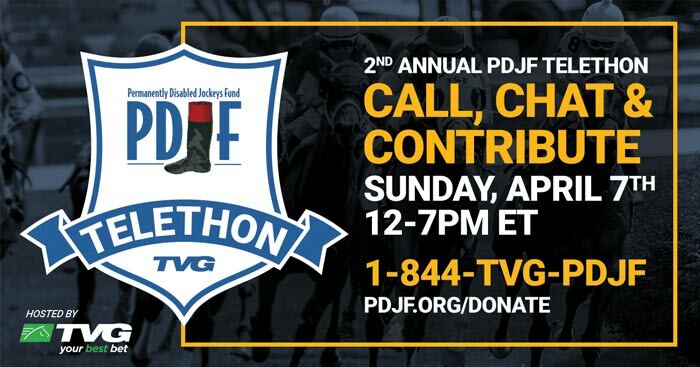 The PDJF strives to reach out to everyone in the Thoroughbred and Quarter Horse industries, their business partners and the great fans of this sport for their support. Our long-term goal is to create an endowment that will enable the fund to be self-sufficient. While we build that endowment we ask for your support so that we may continue to assist these permanently disabled jockeys with their day-to-day needs. Please follow us on Facebook (www.facebook.com/jockeysfund) and Twitter (@PDJFund) to get updates on all events and updates on PDJF. Stacy doesn’t remember the accident that left her seriously brain injured. She was catapulted into the air when her mount slammed headfirst into an oncoming, rider-less horse running the wrong way on the race track. Doctors carved a hole in her skull to allow swelling brain tissue to subside, but she was not expected to survive. Stacy now speaks and moves haltingly and lives in constant pain. 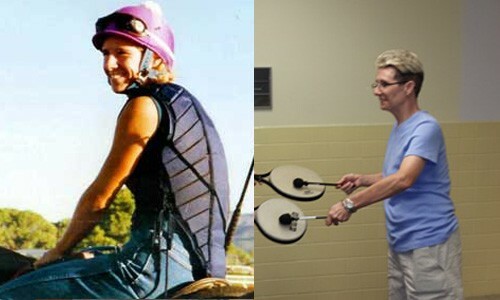 She uses her monthly PDJF stipend to pay for music therapy, caretakers and a motorized wheelchair which allows her to live a more connected life. 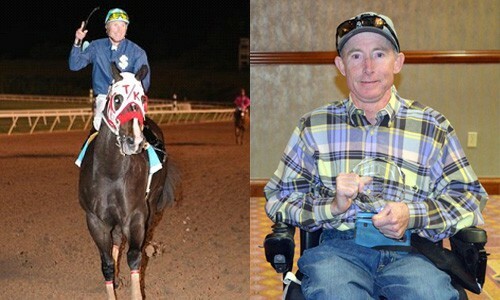 When pulling up his mount after a race, highly-regarded Quarter Horse jockey Tad Leggett was thrown to the ground and paralyzed. Tad was in an ICU for 30 days and spent the next three months recuperating in a rehabilitation hospital where he was finally weaned off a ventilator. Tad has a little use of his arms and hands but is technically quadriplegic. He uses his monthly PDJF stipend to pay for expensive physical therapy and a caregiver. Although he grew up in a racing family (his father was a jockey and, later, a trainer) the racetrack bug didn’t bite Gary Birzer until he became a jockey at 21. He won multiple stakes and garnered purse earnings over $10 million dollars. But at age 27 tragedy struck when one of Gary’s mounts fell and he was thrown head-first onto the track, breaking his spine in two places and paralyzing him from the waist down. Gone was the ability to provide for himself, his wife, and their two small children. The support Gary receives from the PDJF helps defray the expenses of everyday living. Contributions to the Permanently Disabled Jockeys Fund are tax deductible. Colby Birzer, Paulette Cigliana, Coady Photography, Bill Coatney, Patti Davis, Zulema Dewitz, Jim Dieso, John Englehardt, Four Footed Fotos, Horsephotos.com, Jan Hortyk, JennyPhoto, Nicole Marie/Four Footed Fotos, Leslie Martin/Coglianese Photography, Deb Moss, Thomas Allen Pauly, Suzie Picou-Oldham, Holly M. Smith Photography, Ryan Thompson/Four Footed Fotos.